The beak can be a result of the technique used in nasal surgery, but it can also occur as an unpredictable complication even for the most experienced surgeons. The causes of the beak nasal deformity can be listed as the inadequate resection of the supratip structures (insufficient gut cartilage removal), overfilling of the nasal bone, loss of nasal dextrose, or abnormal edema in patients with thick suprathecal skin. An excessive cartilage resection (usually associated with thick nasal skin), which results in subcutaneous scar tissue formation in the suprathep region, is one of the most common causes. 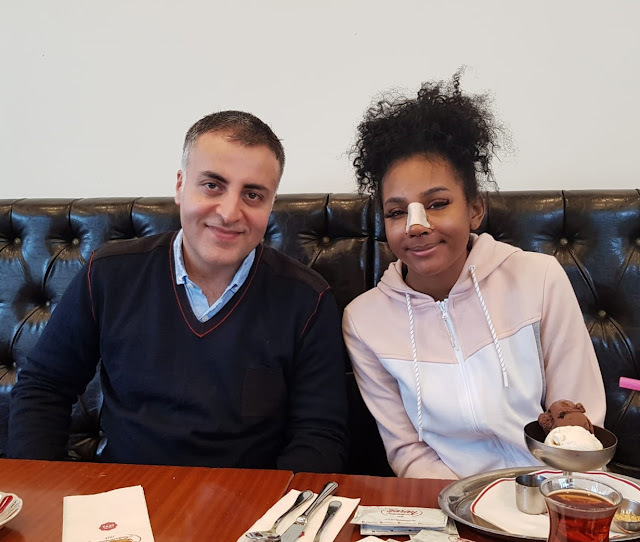 Supratip cartilage and excessive cartilage removal due to inadequate cartilage removal, when the nose of the beak emerges roughly cartilaginous beak nose deformity (cartilaginous beak nose deformity / cartilaginous pollybeak deformity) is called. 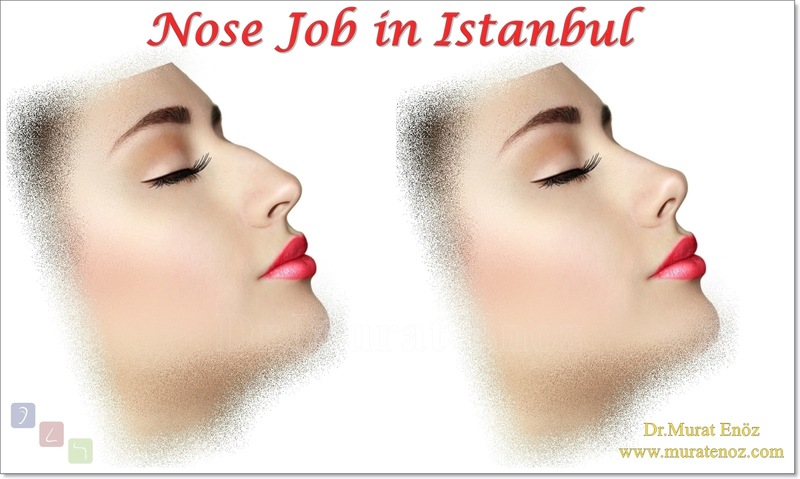 I recently wrote an article about the thickness of the nose and the importance of the thickness of the nose >> Burun Ucu Derisinin Kalınlığı, Burun Ucu Estetiği ve Burun Estetiği Sonrasında İyileşme Süresini, Ödem Miktarını ve Ortaya Çıkan Şekli Etkileyebiliyor! 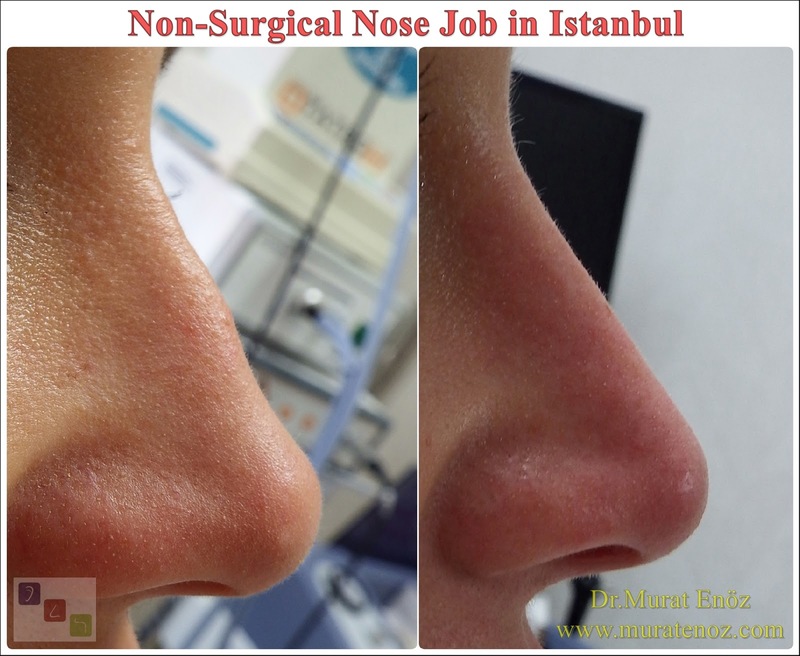 Indeed, the characteristics of the nose skin can seriously affect the surgical success and result. It was reported in a recently published scientific study that the skin thickness over the nosebelt and nose arch could be assessed by gently squeezing between the index finger and the thumb during the examination. In fact, it was emphasized that a close examination of the tip of the nose showed that the presence of excess oil pockets (comedones) was excessive in skin thickness. 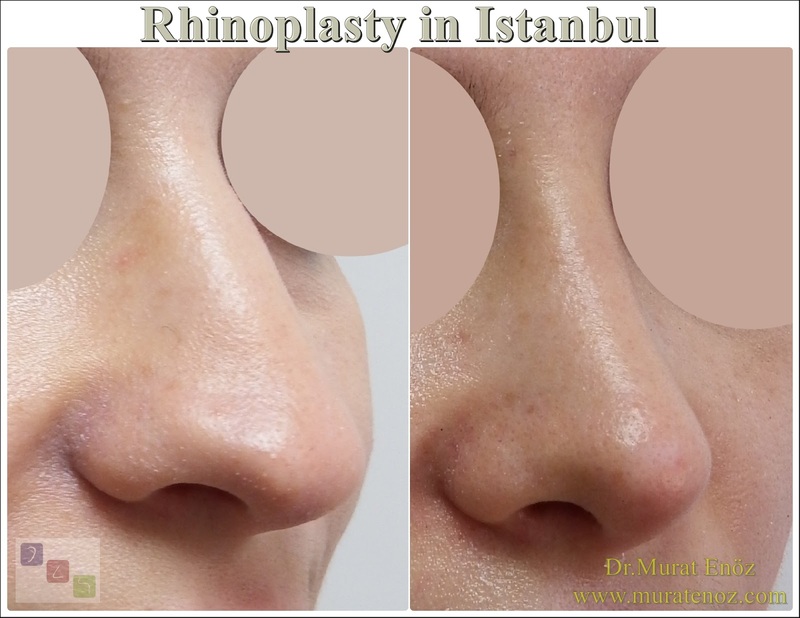 So this means that after the surgery, normally more than nosebleeds, besides being the duration of edema; a rounded appearance rather than a slightly curved or angled image at the tip of the nose (thick nose skin, more camouflage ...). 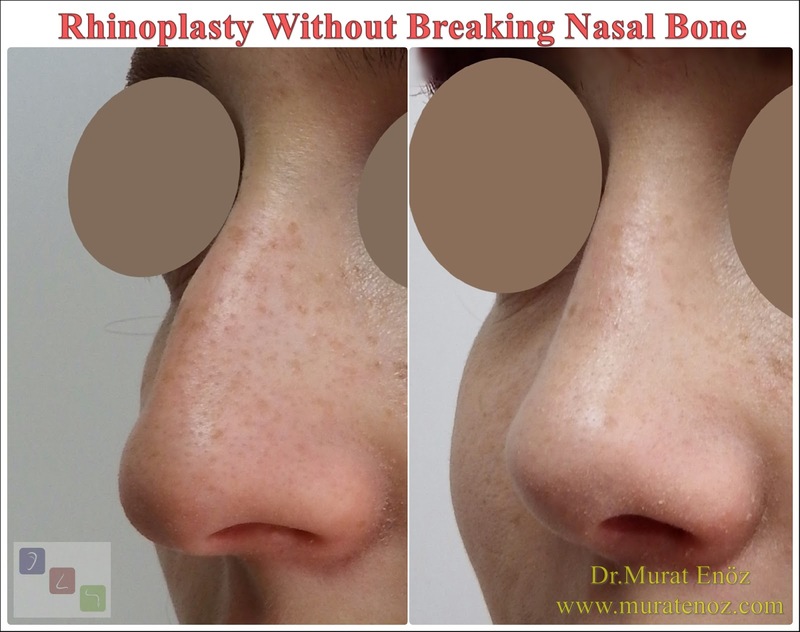 Above and below, there is an abnormal difference between the skin on the nose arch supratip and the skin thickness on the nose when the skin thickness between the sign and the thumb is evaluated in the patient who developed soft tissue beak nasal deformity after the nasal aesthetic surgery. The area between the nose and the nose arch, the soft tissue, and the thick skin of the skin caused the nose to appear roughly like a beak nose. During the examination, only finger pressing on the supratip area causes the image of the beak to fall from the side. 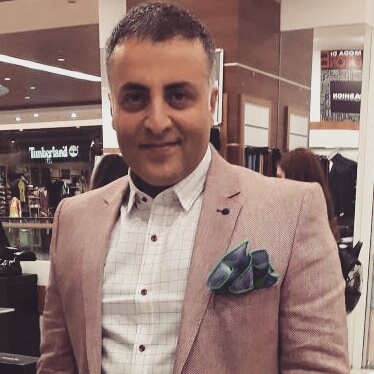 In general, steroid injections are planned as the most common medical treatment in beak nose deformities resulting from this excess soft tissue or thickening. Triamcinolone acetonide can be injected at 10 mg / mL (0.1-0.5 mL). Dermis and epidermis injections should be avoided (hypopigmentation may cause atrophy). Injection should not be administered more frequently, every 3-4 weeks. Excessive treatment may cause atrophy, which can lead to saddle nose deformities or irregular skin changes (source link >> Polly Beak Deformity in Rhinoplasty: Background, Problem ...). An application I do not like about cortisone. Although the thickening result in the supratip region is usually cortisone in a region that is far away from the eye, Steroid injections of adjoining areas (intranasal and eyelids) have been reported in the literature of post-blindness (Source: Blindness as a Complication of Subcutaneous Nasal Steroid Injection). Intralesional triamcinolone injection is the first-line treatment of soft tissue polylysomal deformities caused by subdermal scarring. If intralonezic steroid injection does Correction of the soft tissue pollybeak using triamcinolone injection). Injection depth should be subcutaneous tissue. If whitening is observed, the injection level should be considered superficial and the needle should be guided deeper. Dermic injection of triamcinolone may result in cutaneous atrophy. As is the standard practice in intralesional injection techniques, the surgeon must begin aspiration with a syringe to ensure that the needle tip is not in a blood vessel. It should not be forgotten that injecting triamcinolone into a blood drop can have dangerous consequences for the patient (source >>Correction of the Soft Tissue Pollybeak Using Triamcinolone Injection ...). The main treatment risk with triamcinolone injections is subcutaneous atrophy. The precise mechanism by which steroids reduce scarring is not fully understood. Corticosteroids reduce fibroblast proliferation and inflammatory responses. This effect results in reduced collagen and glycosaminoglycan synthesis with reduced tissue fibrosis. Corticosteroids also inhibit collagenase inhibitors and result in increased collagen degradation. Profiling and early treatments should have a greater clinical effect because they are associated with both scar proliferation and impairment. 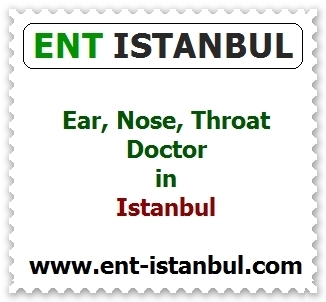 Generally, in soft tissue beak nose treatment, it is preferable to avoid surgery if possible. Resection of scar tissue and subdermal dissection in revision surgery may cause difficulties and complications. Irregular thinning, adhesions, telengiectasia, vertical pits, grooves and possible skin loss may occur under the skin and skin. In general, subcutaneous injection of triamcinolone for scar tissue is the preferred first-line treatment for soft-tissue beak nasal deformity. If triamcinolone injections are not effective, surgical revision remains a possibility for correcting the deformity.